Rogue Women Writers: Spring into Books - for children - and the rest of us. Spring into Books - for children - and the rest of us. As many of us have been celebrating Easter and Passover, we can also rejoice in the promise of sunshine, cherry blossoms, and all sorts of new beginnings. So what better time to discover new books to read on a Spring break. Since some of you may be taking young ones along, I thought I would highlight a selection of new children's books (along with a few for the rest of us). First up: the brand new bestselling story of a pet bunny. Not just ANY pet bunny, this one, "Marlon Bundo" belongs to the Vice President. Otherwise known as BOTUS, (Bunny of the United States), he begins his new life by attending White House events, riding on Air Force 2 and using his Instagram account. 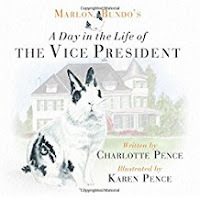 What a great way to show our youngest where our VP lives, but also some of the settings in the one building in the world that not only is the home of all of our Presidents, but is also a museum. 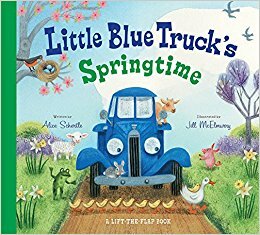 The next hit with the young set is the latest offering in a very popular series, "Little Blue Truck's Springtime." 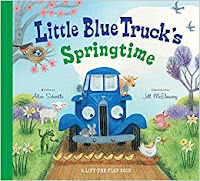 This delightful story is described as "celebrating the beauty of springtime where little ones learn about how baby animals begin their new lives." 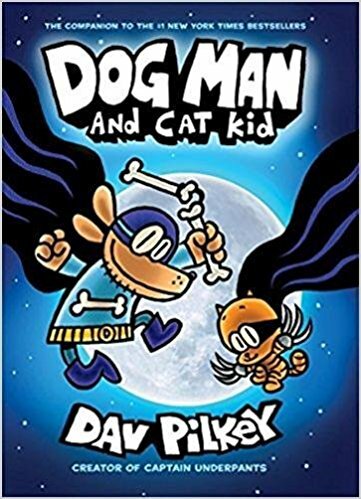 Children certainly do love animals and here is another book to capture their attention and stimulate the imagination: "Dog Man and Cat Kid," the fourth in this particular series. Many of us love to read mysteries where we try to figure out who did what. (In fact, our own Rogue, Francine Matthews, has written a terrific series of "Merry Folger Nantucket Mysteries" you should check out). Now, I'll bet children will enjoy this new mystery about a heroic hound with a new feline sidekick who must solve the puzzle of a missing movie star. It is definitely an exciting new beginning for an ingenious cat-cohort. And, of course, if and when they find the film personality, it will certainly mean a new start for that star as well. One more for your consideration is a clever story about a bear. 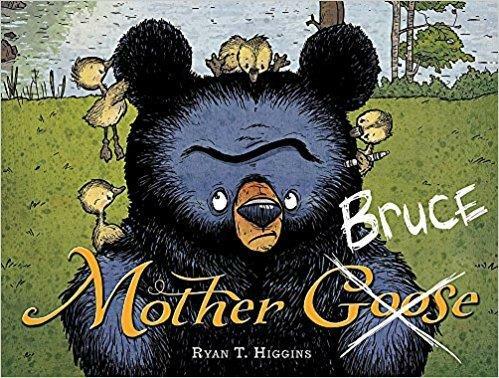 The title is "Mother Bruce." 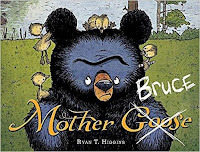 It turns out that Bruce, the bear, usually forages for eggs, but on one particular hunt, he discovers that his favorite breakfast has hatched and he's surrounded by live goslings. Okay, so he can just ignore the new babies, right? Wrong! It turns out these tiny creatures are convinced he is their mother. Now it certainly means new beginnings for this brood. But what is a bear to do? Can he escape the challenge? On the subject of escape, here is a suggestion of a blockbuster thriller for the rest of us -- released just three weeks ago and already hitting every bestseller list I've seen to date. 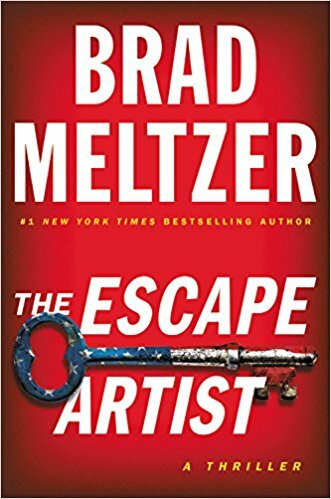 The Escape Artist by the talented author, Brad Meltzer, one of the only writers to have fiction AND non-fiction books on the bestseller list. (His non-fiction hits include History Decoded and Heroes for my Sons and Heroes for my Daughters.) Brad's new thriller is about the search for a painter with the US Army who faked her own death. Now think about it...if she is found alive, you have to admit that would be an incredible new start. By the way, I referenced The White House in the first book listed here and wanted to tell you I heard that a group of national security experts in the George W. Bush administration invited Brad Meltzer into The White House to give them his ideas about threats to our nation so they could then strategize about how to foil the plots. Now, in time for Passover, came the release of an incredible true story about a Jewish family in Poland that became separated at the start of World War II. These brave souls were determined to survive and find each other again. The title is We were the Lucky Ones. It is described as a "tribute to hope and love against all odds." These accounts of bravery and determination are such an inspiration, it is no wonder that this book received great reviews and became featured on a number of bestseller lists as well. Finally, I would like to suggest a wonderful novel which is not new. However, it is such a good story and so well-written that I wanted to highlight it here. 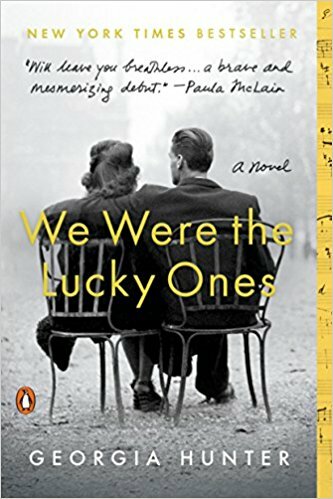 I had the pleasure of reading it when it first came out and it became the choice of hundreds of book clubs across the country (including three I belong to). 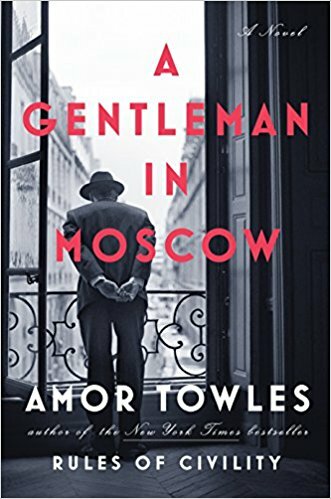 I am referring to A Gentleman in Moscow by Amor Towles. This is the tale of how Russian Count Rostow begins a new life under house arrest in the Metropol Hotel across from the Kremlin. Since we are talking about new beginnings, this term also applies to the author who, you might say, reinvented himself. You see, Amor Towles first worked as an investment professional in Manhattan for 20 years. Then he created his own fresh start when he wrote his first novel, Rules of Civility which was ranked by The Wall Street Journal as one of the best books of the year. Now A Gentleman in Moscow has been on the bestseller list for the last TWO YEARS! And so, fellow readers, I hope you and your family will enjoy these suggestions along with many other great books during this glorious spring season. 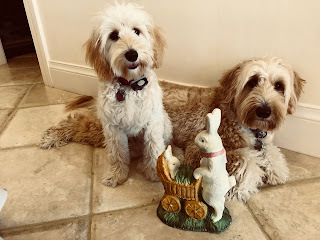 My family joins me in wishing you all a Happy Easter - thanks for visiting us here on Rogue Women Writers. A great list. At this point, with grown children and no grandchildren, I'm more interested in the adult books - but they all sound good. Thanks. I always love new recommendations. All these books sound wonderful. I'll be sharing a few with my young niece and nephew, and--like S. Lee--I plan to pick up a couple of the adult books myself! Thanks for sharing the list. Love Brad Meltzer's writing and never knew he was invited to the White House! Thanks for this list and hope your holiday was wonderful! Appreciate your comments - hope you all enjoy some new selections - and please leave your own recommendations for new books to read this spring!